Nic Brierre Aziz reflects on how art is contributing to the identity of the city, 300 years since its founding. Three hundred years ago, French explorers led by Jean-Baptiste Le Sieur de Bienville founded a colony on environmentally questionable land originally inhabited by people of the Chitimacha tribe. Bienville would name this new land “La Nouvelle Orleans” in honor of Philip II, Duke of Orleans and then Regent of France. In addition to France, this city would go on to garner deep influences from Spain, Haiti, and West Africa. And, as a result, New Orleans now exists as arguably the most culturally rich city in the United States. 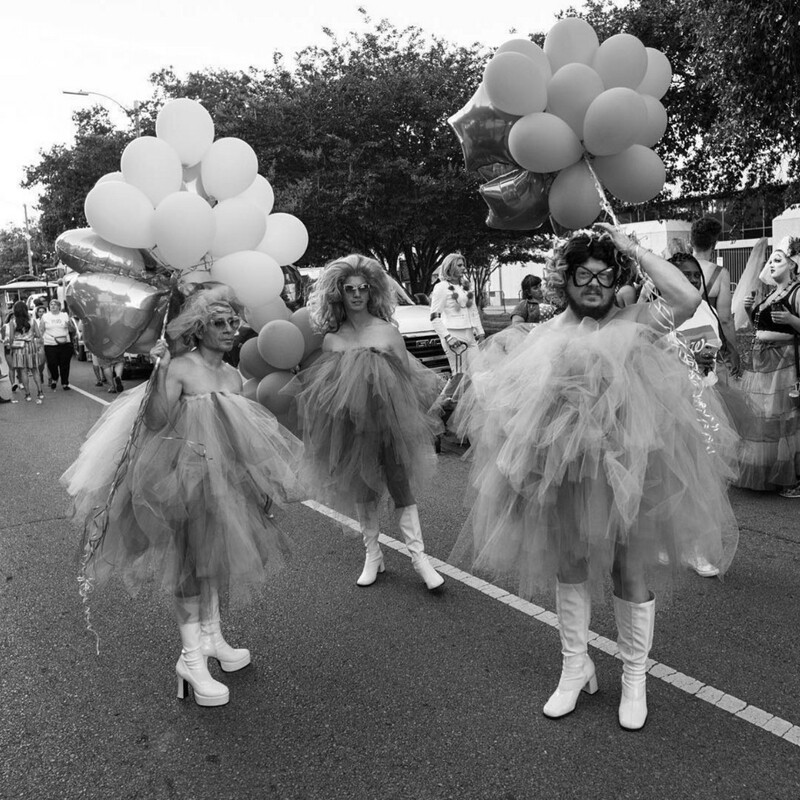 With the city celebrating her tricentennial this year, her history and culture have been illuminated in never-before-seen ways, forcing all the city’s residents to reevaluate its identity. After greeting visitors at the entrance of City Park for more than 100 years, the statue honoring Confederate General P.G.T. Beauregard was removed from its pedestal in May 2017. It was one of four statues that were removed across the city that year, marking a momentous shift in the city and country’s relationship to white supremacy. (The other three were statues honoring Robert E. Lee and Jefferson Davis, and a monument dedicated to a white supremacist attack on police during Reconstruction.) 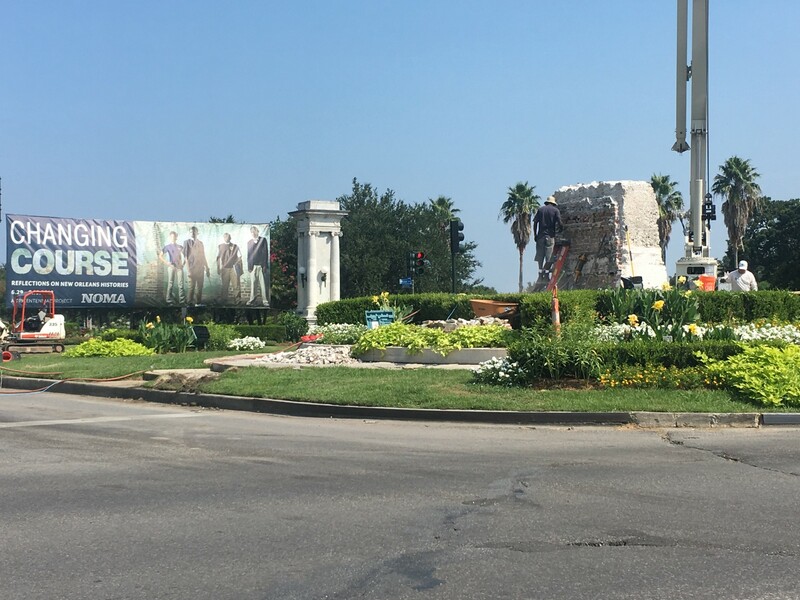 In July of this year the pedestal that held up the Beauregard statue was removed, truly marking the end of this New Orleans emblem. 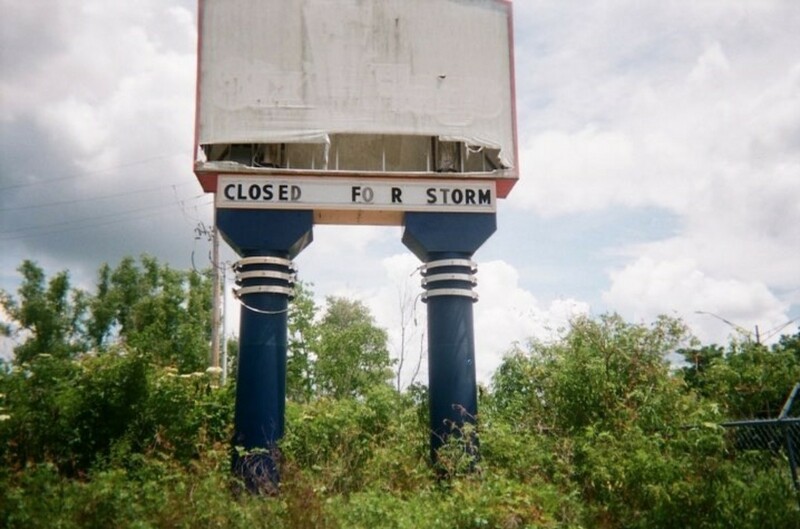 As construction workers removed the Beauregard pedestal, a fitting banner hung in the background, showing an image of four African-American children next to the words “Changing Course.” The photo of the children, taken by photographer L. Kasimu Harris in 2015, was one of 11 pieces from him featured in the New Orleans Museum of Art (NOMA) exhibition, Changing Course: Reflections on New Orleans Histories. The exhibition brought together seven different artists and projects that focused on forgotten and marginalized histories of the city. As a celebration of the tricentennial, the exhibition, just like the removal of P.G.T. Beauregard’s statue and pedestal, signified a metamorphosis — not only for New Orleans but also for the contemporary art world. Art galleries and museums have existed as elitist and exclusionary spaces since their inception and have often failed to reach diverse audiences. This lapse tends to be compounded by the lack of representation of the narratives and histories of minority populations on the walls of these spaces. 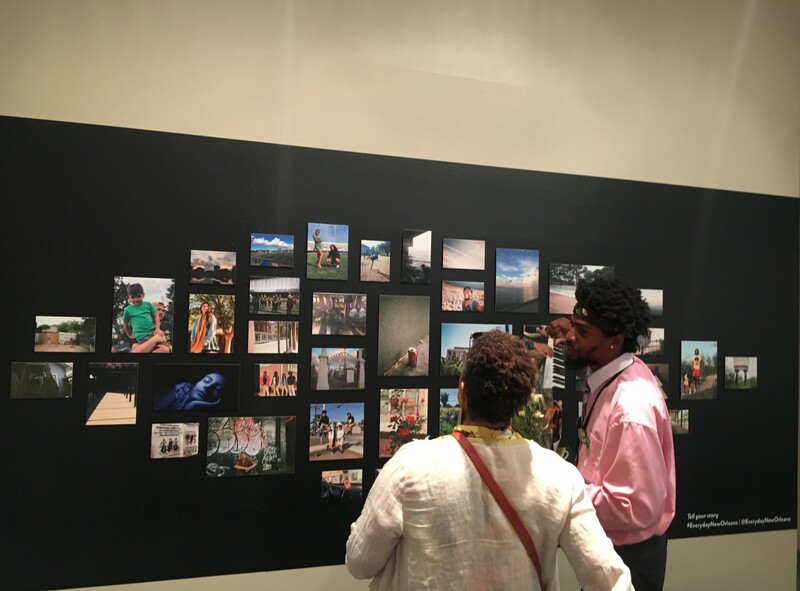 While every piece or project within the Changing Course exhibition conceptually shed light on marginalized histories, it was the Everyday New Orleans project that was arguably the most literal and comprehensive interpretation of this “new” course. 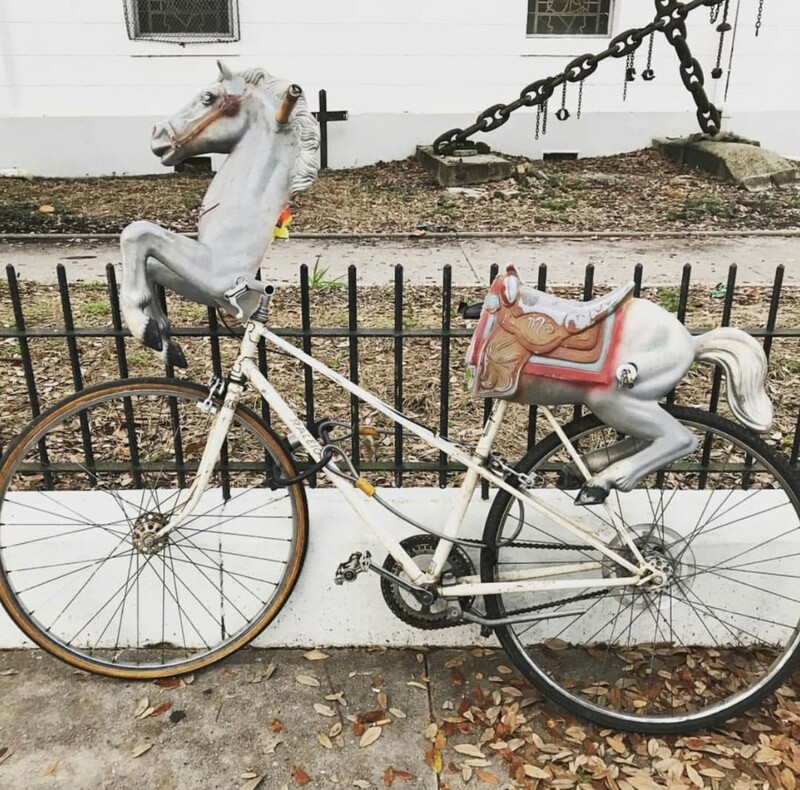 A collaboration of The Everyday Projects, NOMA, and the New Orleans Photo Alliance (NOPA), the project brought together residents of the city to document their own neighborhoods through photography. The project also served as a launch for NOMA’s new mobile museum initiative known as NOMA+. 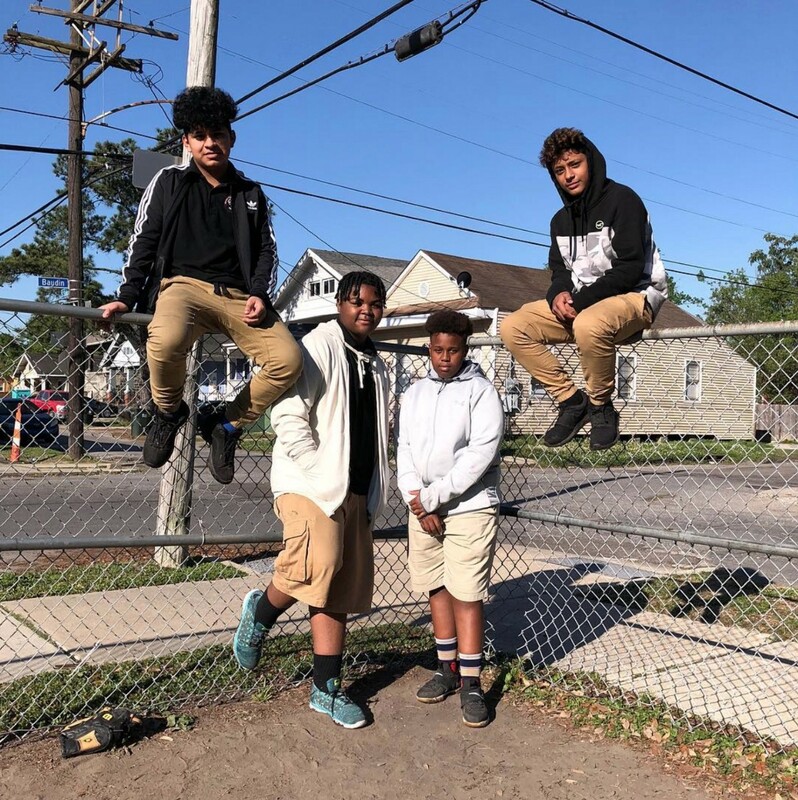 Clockwise from top left, various photos from The Everyday New Orleans project: 1) Photo by Mya from Esperanza Charter School, taken during an Everyday New Orleans photography workshop led by Nic Brierre Aziz. 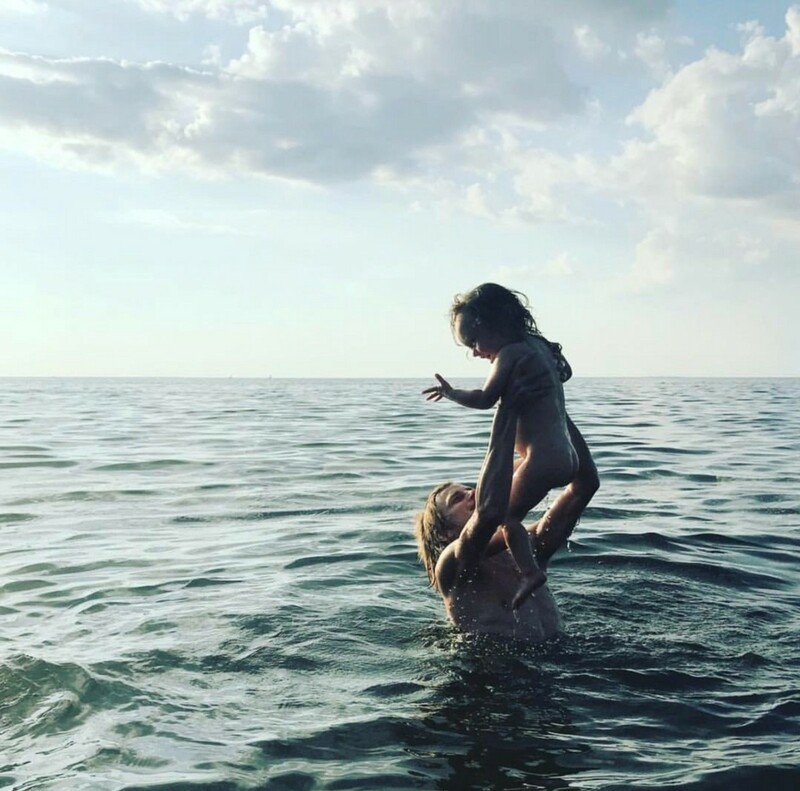 2) Little Odessa & Harrison in Lake Pontchartrain. Photo by @victorygirl_ 3) Photo by @visionsandverbs 4) Photo by Juston Winfield from Rebuild Center, taken during Brierre Aziz’s workshop. As a native New Orleanian artist, I have been able to witness the beauties and shortcomings of our cultural ecosystem from a unique vantage point. 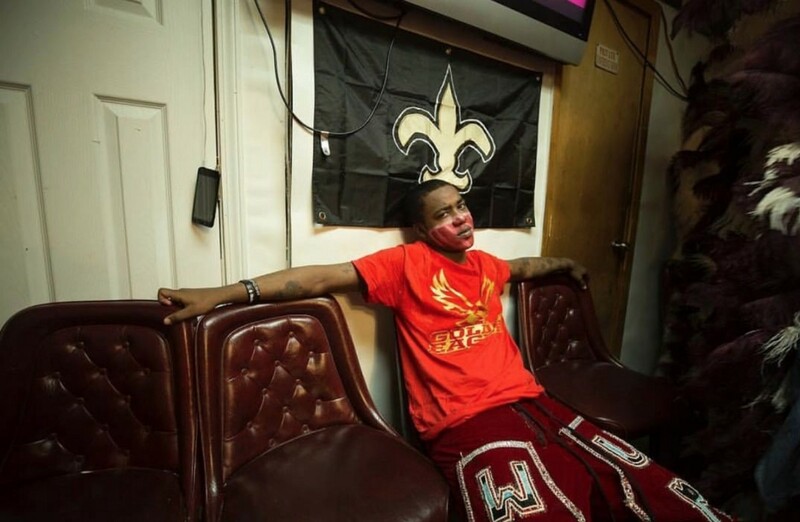 In addition to growing up in New Orleans, I had the opportunity to be heavily influenced by two very large cultural imprints on both sides of my family. My paternal grandfather started a renowned business in New Orleans known as Omar’s Pies, which existed for nearly 30 years and had as many as three storefront locations in the 1980s. My maternal grandfather was a Haitian immigrant who completed his residency at Yale University in the 1940s and practiced as an OB-GYN for over 60 years in Shreveport, Louisiana. He also started a Haitian art collection in 1944 that has now grown to over 400 pieces of artwork. The amalgam of these fabrics greatly influenced my love for arts and culture and belief in their transformative qualities. Upon returning home to New Orleans after completing a master’s program in the United Kingdom, I began to put my passion for my community to practice and often found myself at the intersection of art, education, and social justice. After engaging in this work for years, I was given the opportunity to lead NOMA’s mobile museum initiative, which featured newly-launched Everyday New Orleans as its first project. It has been a privilege to work with, and help to revolutionize, an institution like NOMA. For this project I worked with a NOPA photographer at six different sites around New Orleans: Algiers Regional Library, the Ellis Marsalis Center for Music, Esperanza Charter School, Grace King High School, the Rebuild Center, and Warren Easton High School. At each site, I co-facilitated workshops that were adapted versions of The Everyday Projects model and addressed the idea of photography being used as a medium to combat stereotypes. Participants were given the task of documenting their everyday lives. Later they were able to see their images printed, and they shared the stories behind their photos during the second workshop. Forty-four of the photos were selected to be a part of an installation at NOMA for the Changing Course exhibition. The lessons within the workshops provoked some very rich discussions, sparking creativity that isn’t seen enough in more traditional learning environments. 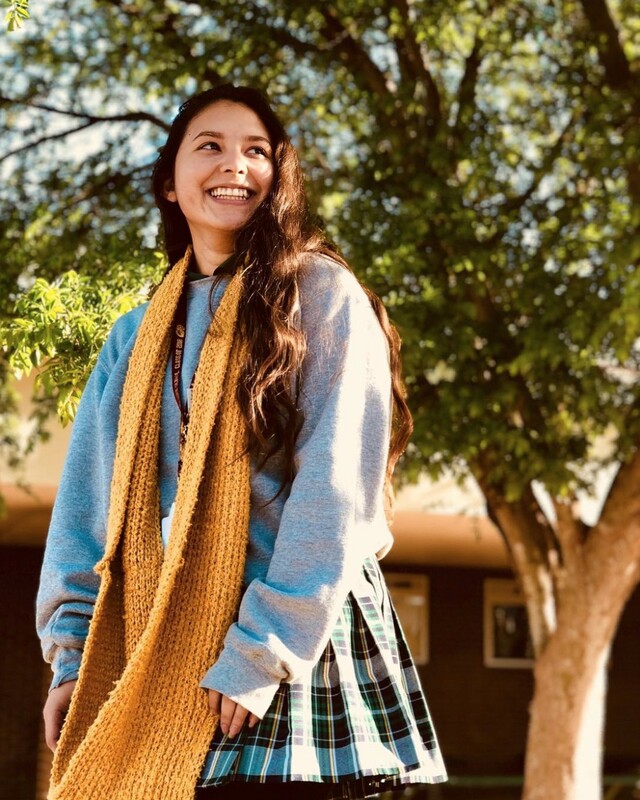 One story that was particularly special and showed the power of the project involved a student named Mya at Esperanza Charter School. 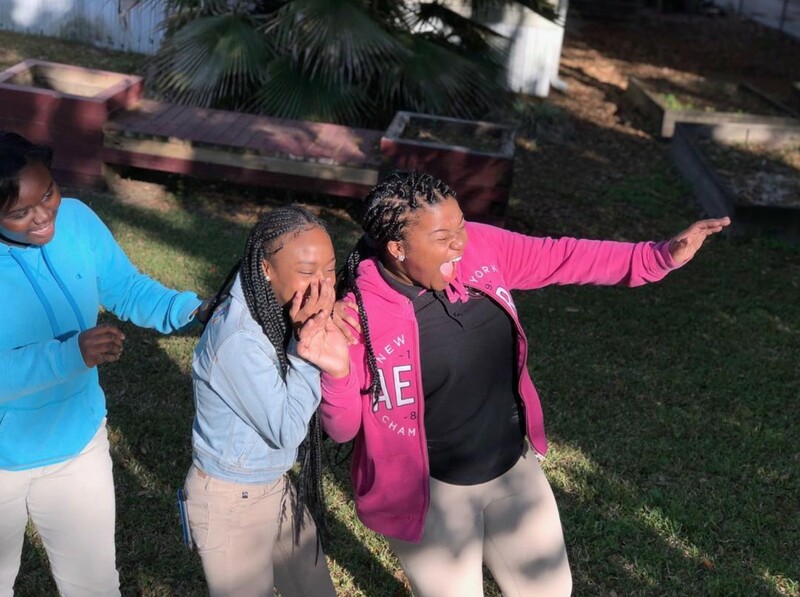 During the second workshop at Esperanza, I sent students outside to take photos with the intent of creating an “exhibition” that they would present to the class. At one point, I found Mya covering the majority of her friend’s face with her braids for a portrait. Another member of their group vehemently screamed, “Stop it! That’s stupid!” I immediately walked over and encouraged Mya to continue with the idea and showed them the work of Joanne Petit-Frere, an artist who creates complex braid sculptures and whose work was on display within an exhibition at NOMA. While a very quick and simple moment, it illustrated the power of representation in museums and projects like Everyday New Orleans. The coupling of Everyday New Orleans with the launch of NOMA’s mobile museum created a new energy not only within the communities that we worked with, but also within the walls of the museum. These initiatives brought a diverse range of individuals to the museum throughout the exhibition’s duration, many of whom had never been to the museum before. One of these individuals was Juston Winfield, who spends time at the Rebuild Center, a place that provides day services to individuals experiencing homelessness. 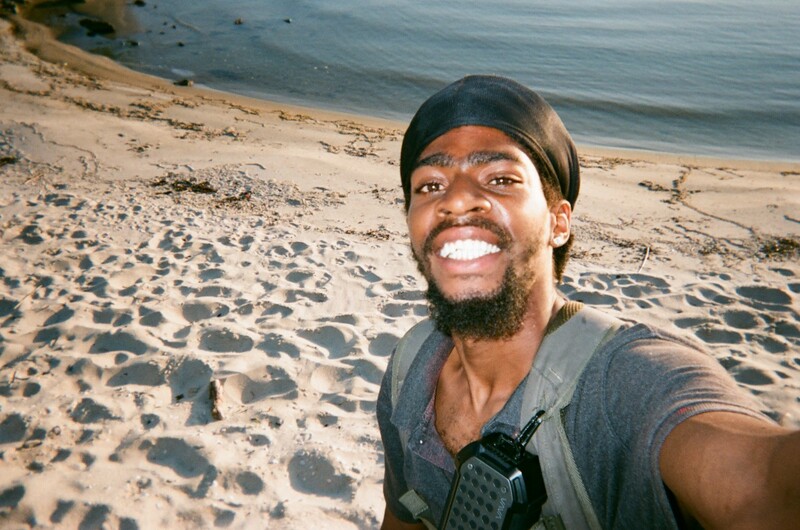 Winfield had the most photos selected of anyone from across the six sites and was by far one of the most enthusiastic participants. In addition to running into him around the city as he sold his art in the French Quarter and elsewhere, I also saw him several times at NOMA bringing visitors to see his photos in the exhibition. But despite this enthusiasm for art and being a native New Orleanian, Winfield had never been to NOMA prior to the opening night of the Changing Course exhibition. “I never thought I would have a chance to be a part of a fine arts museum in New Orleans,” he said. Winfield had long been under the impression that NOMA was only for “ivy league people” and as a result would never engage with more diverse populations. Thankfully for him, and the rest of the New Orleans community, the museum has worked to change this perception and give all people the opportunity to enter the museum comfortably and confidently. While the project sites in the city were all different, they were each an explicit manifestation of how powerful it can be when museums redefine the ways that they interact with communities. We must demystify the idea of “art” — and broaden who is allowed to make and engage with it — to ensure an open and modern future for the field, particularly if it’s going to fulfill its inherently humanistic foundation. By featuring the work of under-represented communities and voices, the Everyday New Orleans project was a step in a more righteous direction, adding a blotch of color to the art world’s historically monochromatic canvas. Hopefully this, and projects like it, can serve as examples for other museums and galleries across the country whose palettes could use some enhancements. Nic Brierre Aziz, a native of New Orleans and an artist, joined the staff at NOMA in early 2018 to serve as community outreach coordinator for NOMA+, a pop-up museum that debuted in March. Thanks to Elie Gardner and Austin Merrill. Nic Brierre Aziz is a native New Orleanian artist.